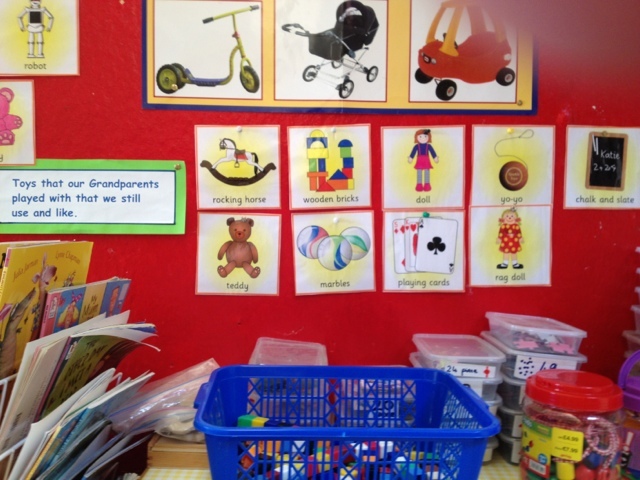 We talked about the toys we all played with as babies. 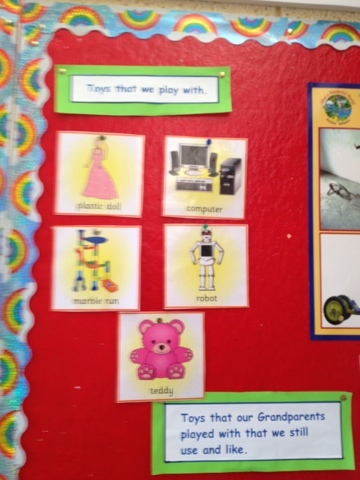 Then we talked about old toys! 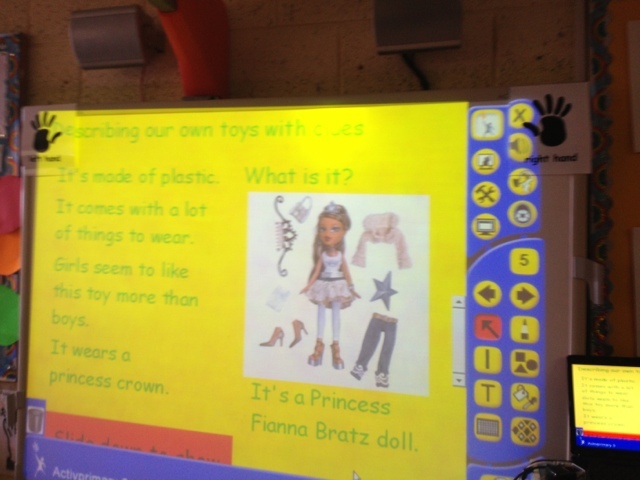 We talked about toys that have been around for a long time and new toys. 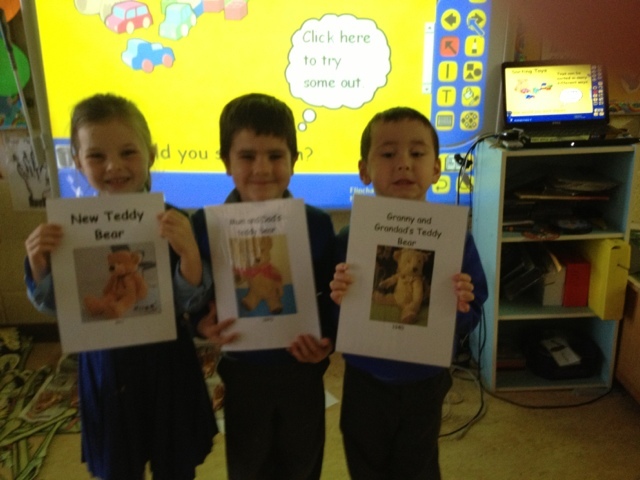 We played a detective game. 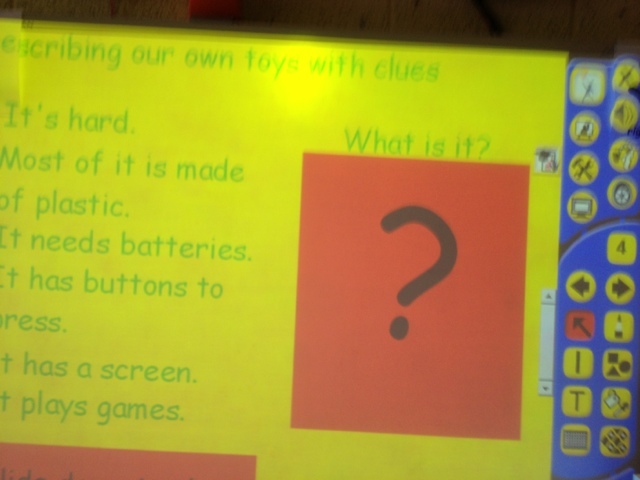 we looked at clues and had to think really hard about what toy was hidden behind the box. 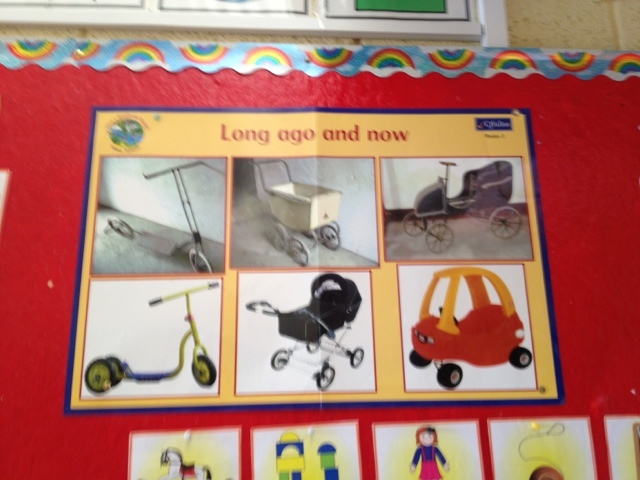 We looked at how some toys have changed through the years. 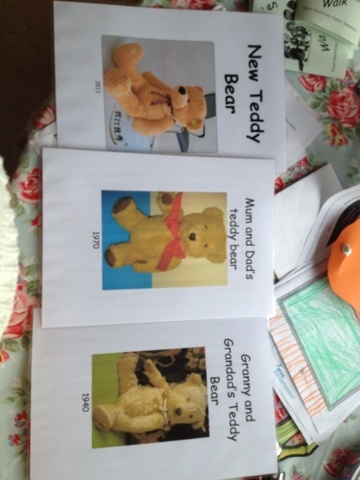 We made a wonderful teddy bear timeline.